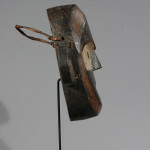 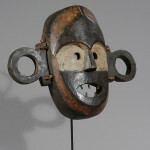 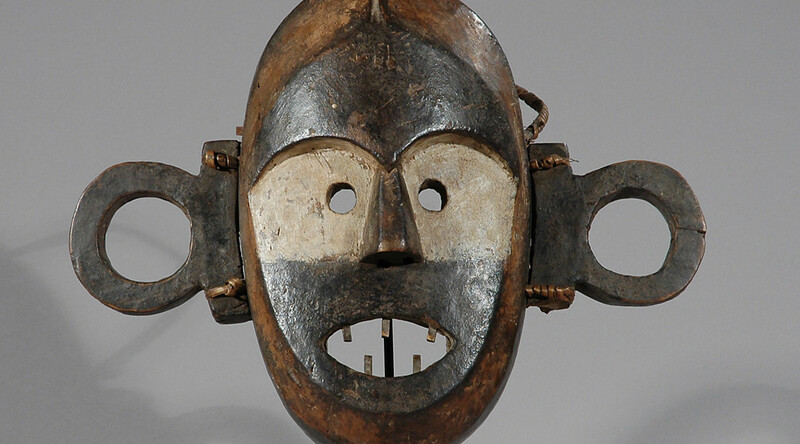 The Boa from Congo are known principally for their masks, believed to be used in war-related ceremonies, to enhance the warrior’s courage or to celebrate victories. 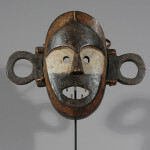 This mask has set-apart, prominent, round ears, suggesting alertness, and is covered alternately with dark and light pigments. 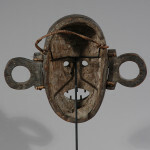 Old masks have been described as belonging to warrior or secret associations and are considered to be war masks or disguises used in hunting although their precise function is not known, now most are usually made for sale.